Naxos of the mythical and ancient love stories is the ideal place to organize your wedding and honeymoon. Feel the atmosphere of the place where the ancient god of merriment, Dionysus, finally caught up with his heart’s favorite, the Cretan princess Ariadne, experience the medieval romantic ambiance and its relaxing and lovesome atmosphere. Whether you desire a civil or religious ceremony, Naxos is ideal for you. Make your vows at the famous Portara, on the islet of Palatia, with the magical aura of antiquity, or at some picturesque chapel; one of dozens that the island has. 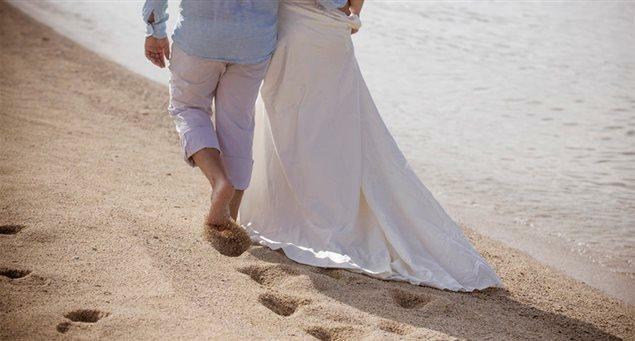 And after the wedding, cast off your shoes, walk barefoot on the sand and abandon yourselves to the rhythm of an unforgettable beach party. If you are in love, Naxos is for you!